← Are you in IT? And you want to work in CB? Then get on this! 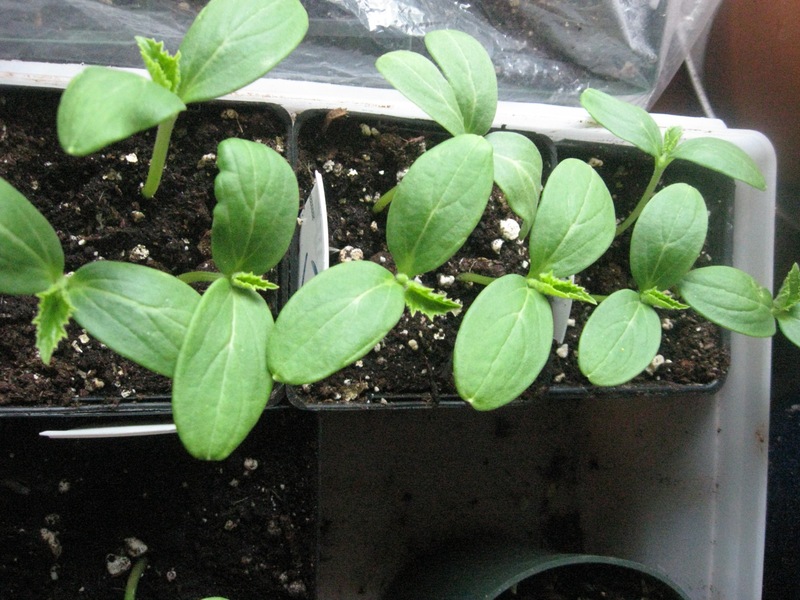 My Mum’s beautiful, robust squash seedlings. 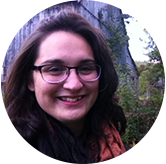 Kate Oland is not just a great speaker and advocate for rural living, she’s also a librarian at Baddeck’s public library. There, she creates and holds wonderful programming for the public, in a space that overlooks Baddeck’s picturesque harbour. Having fun and learning cool stuff in a beautiful setting? Sign me up. If you’d like to see a Frugal Friday-type event at your local library, leave a comment! 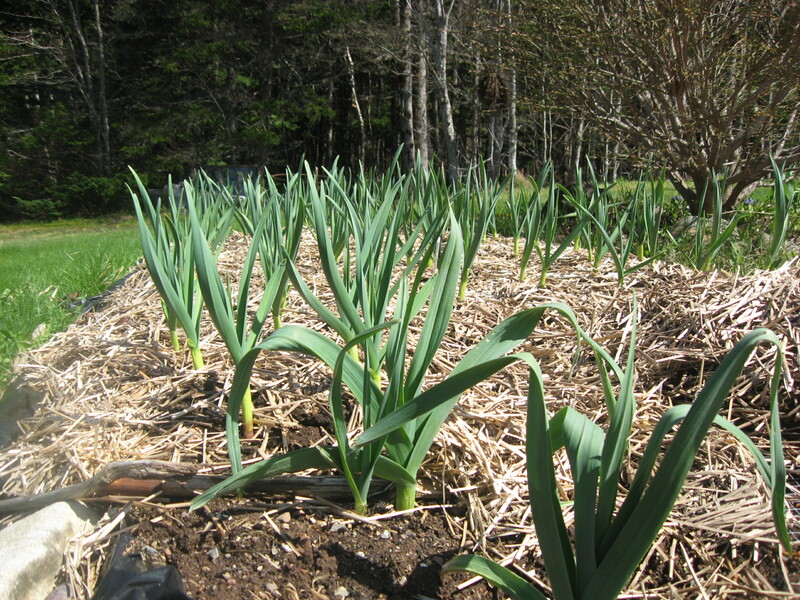 My Mum’s garlic – just as robust as the squash – earlier this month. Baddeck Library has initiated a monthly “Frugal Friday” program, aimed at sharing tips for living more lightly, saving money, and doing more with less, while having fun. Our first program – a Clothing and Accessory Swap – was held at the library on March 30th, and attracted a crowd of 25 eager swappers. The premise was simple: Clear out your closets and drawers, find adult clothing and accessories you no longer want, and bring it to the library to trade for something you like better. We set out tables labeled “tops/sweaters,” “skirts and dresses,” “bottoms,” “outerwear,” etc. and asked participants to place their giveaways on the appropriate table as they came in. The library took responsibility for disposing of any clothing left at the end of the swap. Although some community clothing swaps get quite technical (for example, you get a “ticket” for every item you bring and you “spend” your tickets on items you wish to take), we decided to keep it simple. It didn’t matter whether you brought 17 items, or none at all. If you found something you wanted to take, you were welcome to take it. The point was, after all, to help people clear out clutter and to find a new home for unloved clothing. Some of the folks who brought clothes left with very little, but were thrilled to have unloaded the deadwood from their wardrobes. The leftover items will be donated to a local church for a fundraising sale. The atmosphere was wonderful! People chatted and sipped tea and tried things on, and we had some excellent conversation about other potential Frugal Friday events. We’ll definitely do it again! I didn’t have time and energy this year to start my plants from scratch, so I went to the Garden Centre. I’d be remiss (or is it amiss? I’m not sure) if I didn’t mention the other important project Kate is involved in – The Nova Scotia Small Schools Initiative. (That’s a link to their Facebook page.) What is it? It’s a group of people from across the province, who have all been involved in trying to save the small school in the community where they live, who have come together and who are doing things like writing up policy suggestions, meeting with ministers to try and convince them that small schools and rural communities are important, and stimulating conversations with everyday Nova Scotians through social media to connect people with one another. You can take part in those conversations by “Liking” the Facebook page. What would Nova Scotia look like if we embraced and valued our rural spaces? If we placed our community schools at the heart of a well coordinated Rural Strategy? Let’s start a conversation. Let’s harness the creativity, passion, and innovation of the people who choose to live in rural communities. Let’s identify and remove the barriers that can make rural living challenging. Let’s ensure our government programs and services work in a rural landscape. Let’s start with our children, and put schools at the center. Again, all good things! Sign me up. 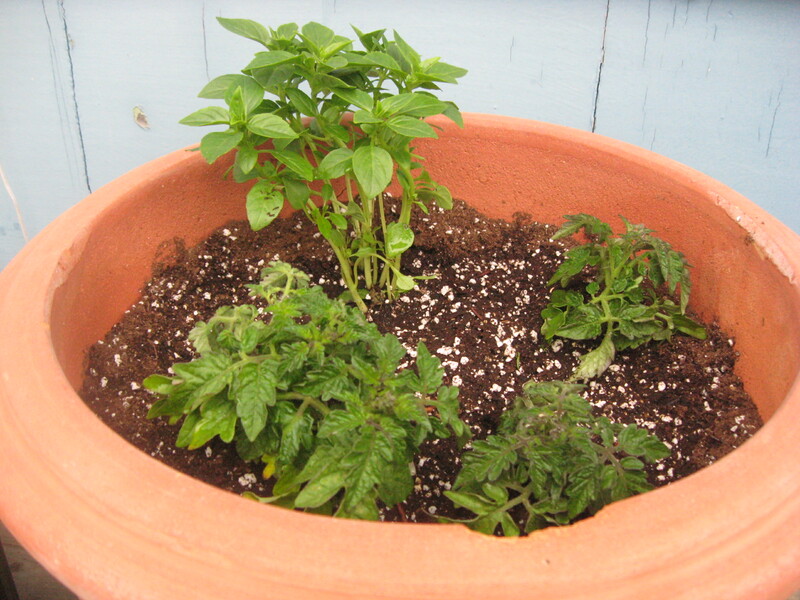 I can’t wait to watch these little babies grow over the summer, and harvest yummy food from them, for free! And, don’t worry, Erika Shea will be back soon with more of her Frugal Friday loveliness. 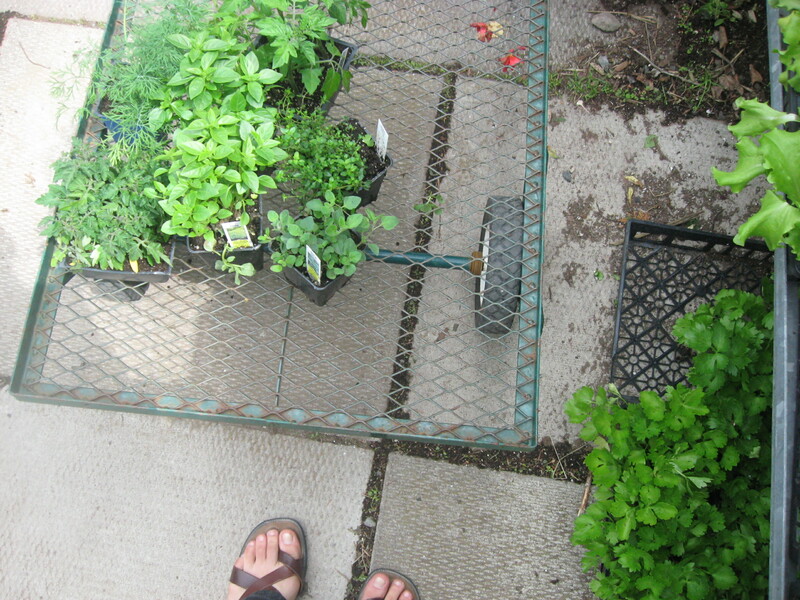 This entry was posted in Libraries, Towns + communities, Women + kids and tagged Baddeck, frugality, gardens, Kate Oland, Nova Scotia Small Schools Initiative. Bookmark the permalink.